NO HOA. 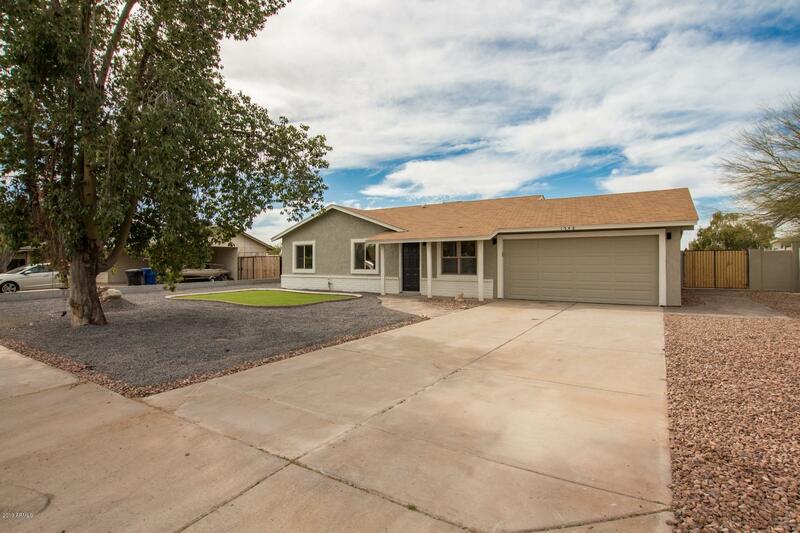 Large lot with beautiful remodeled home. Home completely redone in 2019. Large master bedroom with additional seating / office area. Other bedrooms are good size. 2 HUGE RV gates allow for tons of parking and storage. New floors, new kitchen, all new appliances, new windows, new water heater, new carpet, new doors, new electrical, new plumbing, new garage added, new back patio and patio roof. All new exterior stucco and new interior and exterior paint. Beautiful trim work and detail through out with coffered ceilings and crown molding throughout the entire home. Large walk in pantry with shelving and large laundry room with built in cabinets and counter. Amazing location by local parks and great schools. Easy to show. Dont miss this one!